The collection has its roots in the private collection of Alonzo Yates, a recognized amateur invertebrate paleontologist who lived in Santa Barbara a century ago. Yates collected and traded material, assembling a fine small collection of invertebrates, especially Mollusca. 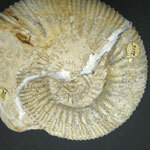 Other collections were made by the faculty of UCSB, particularly focusing on the fossils of the South Coast and the Channel Islands. Since the 1980s, additional teaching materials have been added to the collection. Vertebrate casts and replicas gathered by Dr. Andre Wyss, plant materials collected by Dr. Bruce Tiffney, and Carboniferous peels collected by Drs. Vernon Cheadle and Maynard Moseley augment the collection. 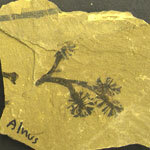 The paleontology collection supports the teaching mission of the Department of Earth Sciences and serves as a repository for research-related materials. The collection provides an excellent source of educational materials for training students in the Department of Earth Sciences and the Department of Ecology, Evolution and Marine Biology. 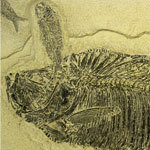 A systematic collection, organized per the Treatise on Invertebrate Paleontology. This is the largest collection. A stratigraphic collection, providing examples of important systematic groups through time. A collection representing Santa Barbara County fossils, including those on the Channel Islands.